Both bids expressed an interest in hosting the Games during last year's edition of the multi-sport event in Vanuatu. They were then invited to formally submit bids for the Games with both then forwarding documents to the PGC. 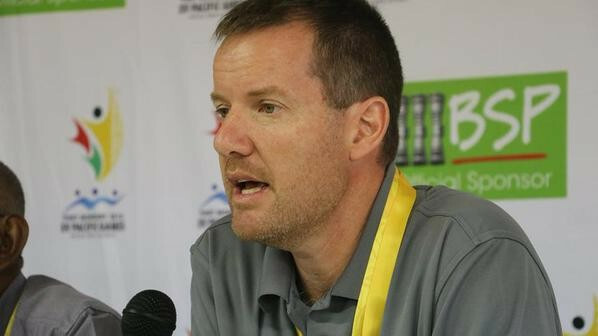 The small island territory in the South Pacific Ocean, which has a population of around 1,700 people, had proposed having eight sports on the programme at the 2025 Pacific Mini Games. American Samoa, which consists of five main islands and two coral atolls, staged the Pacific Mini Games in 1997 when competition took place in the capital of Pago Pago. Both hopes of staging the Games are currently on hold with the PGC informing the General Assembly that requirements had not been achieved. "When the Executive Committee assessed both of the bids, we came to a unanimous decision that they were not compliant with the charter requirements," said Andrew Minogue, PGC chief executive. "Some of these could have been dealt with through negotiation. "But critically the missing ingredient from both was a Government guarantee. "A financial underwriting of the Games is essential, we cannot run a Games without a Government providing financial support to hosting the event." The PGC are now set to search for a host over the next 12 months, with a decision scheduled to be made at their General Assembly here in Samoa during the 2019 Pacific Games. Bid documents will be required to have been submitted six months prior to the Assembly with the deadline roughly coming in mid-January. All Pacific Games Associations will be able to lodge bids, along with both American Samoa and Niue. The 2021 Pacific Mini Games will take place at Saipan in the Northern Mariana Islands. Organisers provided a brief progress update to the General Assembly today, while Vanuatu 2017 gave a presentation reflecting on their Games. They claimed a budget surplus of $700,000 (£527,000/€602,000) for the Games, with a total of $1.2 million (£900,000/€1 million) reportedly raised through sponsorship. It was asserted that funds have gone towards national federations as part of a legacy commitment, while organisers highlighted their efforts to ban plastic bags and stream events online as key to their Games. Vanuatu 2017 also said no positive drug tests were recorded at the Games, which featured 24 nations participating in 14 sports. Vanuatu 2017 suggested the success of the Games has led to contemplation over a possible bid for the 2027 Pacific Games. Samoa will host next year’s Pacific Games, with the Solomon Islands scheduled to stage the 2023 event.